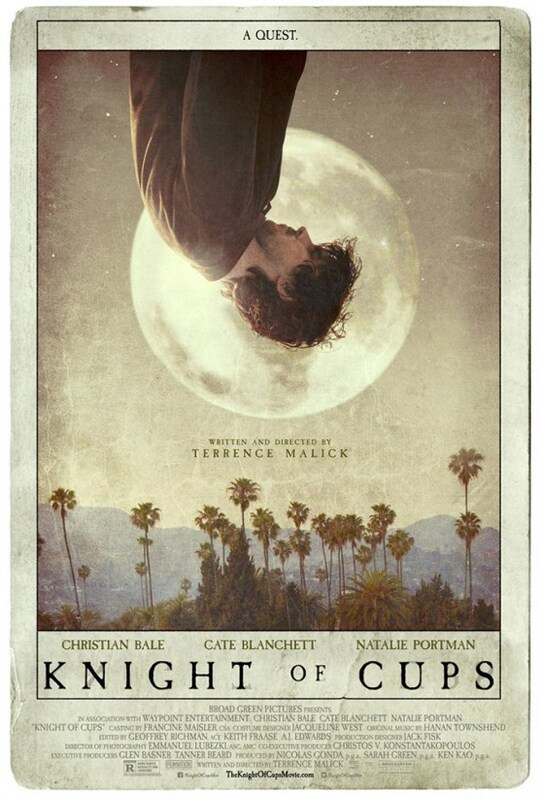 Knight of Cups flows like a fleeting stream of thought. It transcends time and space reflecting on the shapeless wonderment of life and the raft of emotion it awakens. Malick has dreamt up a mirage of wonder; that, if embraced, can provoke an overpowering existential reflection of one’s own life and relationships. Rooted in religious spirituality and underpinned by John Bunyan’s Pilgrims progress (1678); this has the semblance of a dream and nightmarish overtones of excess. Floating through Rick’s life reliving those strained moments with brother and father, agonising and cherishing the permanent and fleeting romances; there’s an observational lens cast on extreme emotions that can’t be expressed in words. Deep and transient feelings of pure love, unadulterated childlike joy, the crushing isolation of loneliness and the lurking spectre of regret. The pilgrim’s journey to find the elusive ‘pearl’ at the bottom of the ocean takes him on a personal voyage ‘from darkness into the light’. It’s that pendant dangled before us that we all search for unaware of exactly what it is that we’re trying to find. 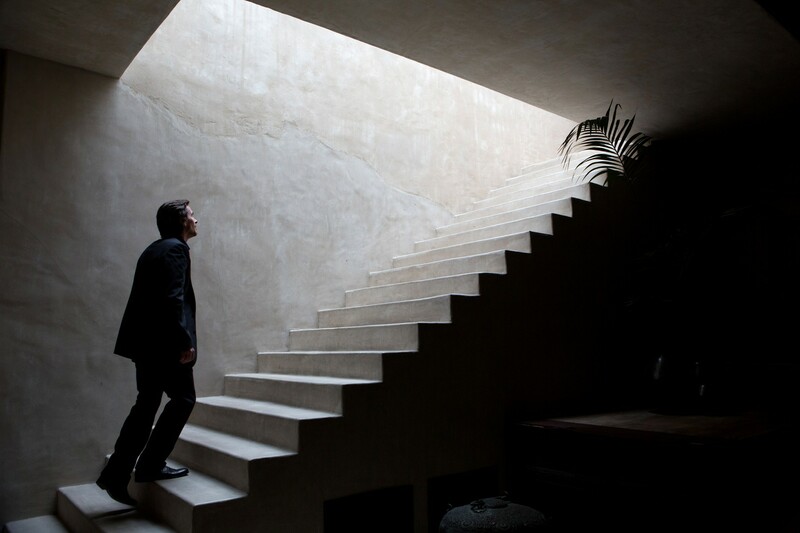 While touching on themes seen in earlier works such as To the Wonder (2012), Knight of Cups is Malick’s most transgressive film to date. The idea that man’s suffering binds him to something higher and greater than their own will is hugely significant. Rick’s reckless abandon and seeming insignificance to the backdrop of glittering Los Angeles parties, mansions or expanse of nature doesn’t mean he’s been forsaken. The creator’s design of our lives is far more illustrious than we could ever hope to dream of and there’s a sense that Rick is being drawn to a higher place while he meanders through life. Man is in a ‘deep sleep’ upon this Earth fulfilling his basest and most primal hedonistic instincts while being unable to resolve past traumas. Each character is introduced by a tarot card: Rick’s volatile and equally lost brother is known as ‘the hanged man’ (Wes Bentley) while the ‘the hermit’ could be recounted as the father (Brian Dennehy). A man who disapproves of Rick’s passage in life but admits ‘you think when you reach a certain age things will start making sense, and you find out that you are just as lost as you were before. I suppose that’s what damnation is.’ Is the happiness we strive towards an elixir of false hope? There’s a beautiful re-awakening of the senses through Emmanuel Lubezki’s sublime signature cinematography and the contrast between the electro club music and classical tones of Grieg and Chopin. A string of short-lived and meaningful romantic encounters shine light on the different aspects of Rick’s persona. Often impressionable, impulsive and a victim of desire; he is shaped by a sum of his experience with all these women, whether fleeting or more permanent. The discover of self is a strikingly recurrent theme in Malick’s work. Who are we beneath the exterior portrayed to those around us, even those we hold most dear? What lurks behind love, the relationships which give our life purpose and the unforgiving sense of responsibility that clings to us in every waking moment? Self-reflection is a cathartic exercise and as Rick’s mind wanders to those who’ve left an imprint on his life. We see some lessons are learnt and others are mistakes that are destined to be repeated. While The Tree of Life remains Malick’s cosmic masterpiece and Knight of Cups doesn’t reach the dizzying heights of The New World and Days of Heaven; there is much to admire in this flawed vision of man’s place in the modern world brimming with temptation. He remains one of the few visionary filmmakers working today that challenges, provokes and leaves so much to interpretation. You get out what you bring in to a Malick film as beauty is well and truly in the eye of the beholder. Note: I do not own copyright to any of the images above.